Wow! Are you looking for a fast and powerful “muscle e-bike”? If so, then you should check out the Prodeco Outlaw SS electric bike! 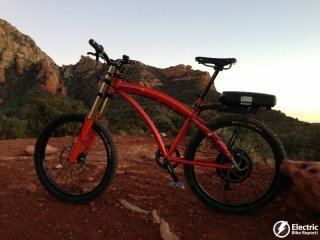 The appearance, component spec, and price point ($2,199) of this USA assembled e-bike definitely make it stand out! 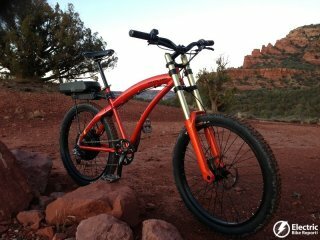 The highly anticipated Prodeco Outlaw SS recently arrived for ride testing and review! 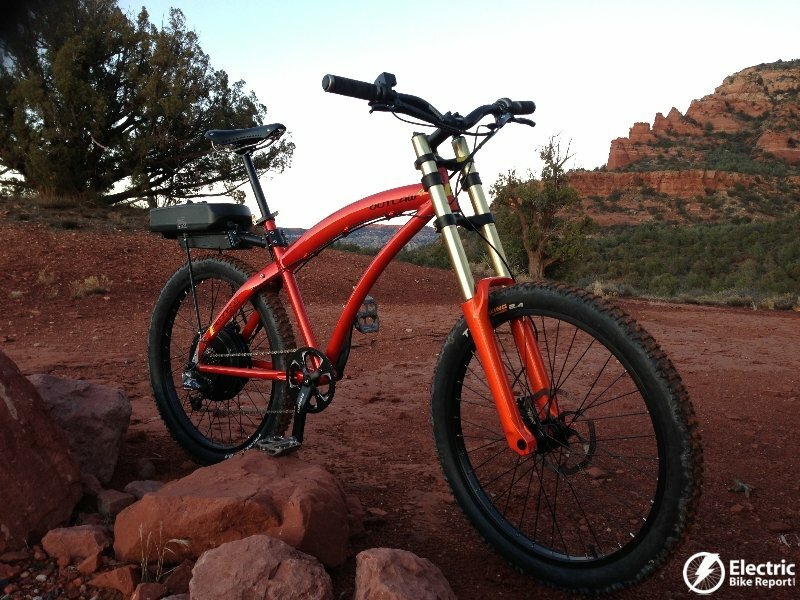 This first post in the review will give you an idea of what this electric mountain bike is all about with info on the bike’s specifications, a video of it in action, and a bunch of pictures!